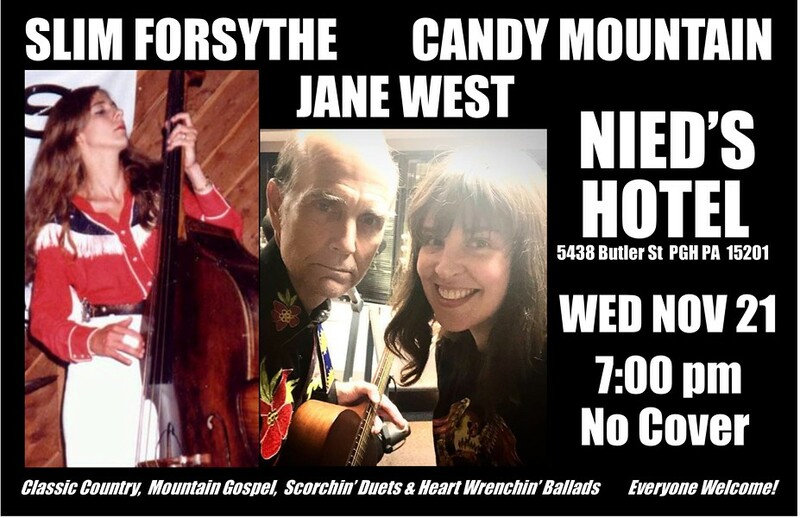 An evening of Classic Country Western, Mountain Gospel, Scorchin' Duets & Heart Wrenchin' Ballads Slim Forsythe, Acoustic Guitar & Vocals Jane West, Acoustic Guitar & Vocals Candy Mountain, Stand up Bass Fiddle Music starts at 7 PM No Cover Charge. Smoke free, Family friendly, Kitchen's open late. Everyone Welcome!